ARTXTS Features: -Can accomodate artificial trees with trunks 1.75'' in diameter.-*Note* Please measure the size of the center post and trunk. 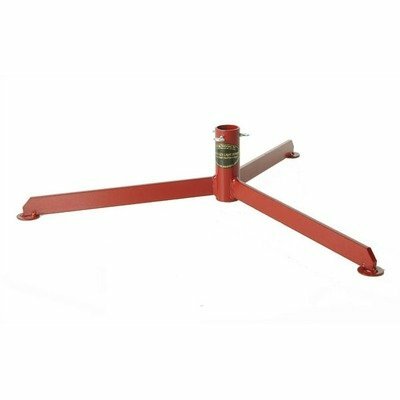 If trunk is larger than 1.75'' in diameter please upgrade to the 6'' Christmas Tree Stand. Includes: -Includes thumb screws, for easy tightening, straightening and easy set up. Color/Finish: -Regal red color. Dimensions: -15'' Legs.-Shipping Box Dimensions: 30'' W x 26'' D x 7'' H.